Lucas (Loukas) Sideras; (born: December 5, 1944) is the former drummer of the Greek progressive rock band Aphrodite's Child. 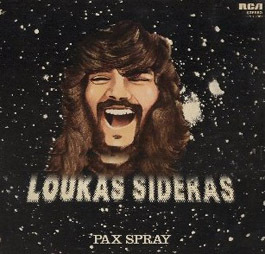 After Aphrodite's Child split up in 1972, Lucas released his first album: "One Day". "Break" is a cover version of the Aphrodite's Child / Vangelis song "Break; released on the album "666" (1971). Lyrics transcribed from recording (lyrics not available on sleeve).